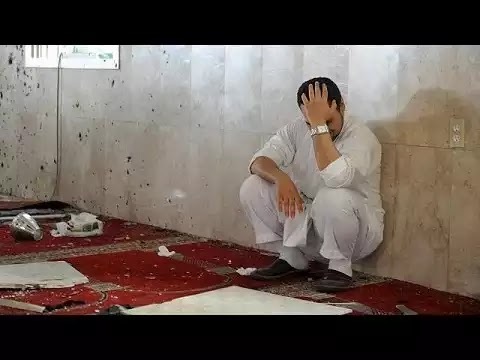 The terribly tragic suicide bombing in a Kuwait Mosque and the horrific killings in Tunisia by the ISIS are evil portends of even more violence and bloodshed. While the world mourns and condemn these horrors the real pepetrators of these crimes live in unbelievable comfort and obscene luxury in their palaces in Riyadh and other capitals of the Gulf. Till we don’t stop the source of massive funding of such thought from these palaces which declares another sect Rafidhis and Kafirs, this madness will not go away. I dread the day when mosques in Canada are taken over by hard line Wahabis and Salafis and their frog boiled counterparts the Deobandis as has happened in the USA and Europe. The number of people, especially the young men of South Asian origin one sees in Toronto with the trademark scraggly Wahabi beards, the Arab Thobe and above ankle trousers streaming into mosques is a warning for things to come. This is where they are indoctrinated into violence and extremism. This is how Tunisia has been transformed from a a pluralistic inclusive polity to one which supplies the largest number of ISIS recruits. These silky tounged preachers both male and female like Farhat Hashemi mix the Scripture with questionable Ahadith and even more questionable dogma from their Doctrinal school or Madhab. Then they deliberately impregnate young impressionable minds with the poison of intolerance, hate and bigotry towards other doctrines and sects, as well as against Christians and Jews. This is how the Wahabi mosques in North America and Europe churn out ISIS recruits. It is this that has and is destroying Islam and the peace of the world. We can and should now see these people for what they are. Purveyors of violence using religion to ensure the survival of their dynastic monarchies. Nothing else. Till we are not honest and bold enough to point a clear finger at the #AlSaud in Saudi Arabia and their counterparts in Qatar, UAE in bankrolling the Wahabi financial juggarnaut to further their political ends or to survive, and take steps to eliminate these forces, the killings will continue. Today it is Kuwait, Tunisia, Peshawar, Karachi. Tomorrow it will be Toronto, New York, London, Paris, Frankfurt, Sydney, etc. This is no longer an issue of a Saudi – Irani binary but an issue of world peace and order. The snake head must be destroyed otherwise they will continue to multiply and wreak havoc. How does one address this when for the USA and Canada and much of Europe the bad guys are still Iran and Syria while Saudi Arabia and Qatar and the UAE are soul mates? The Sins of our fathers and the Sins of our spinelessness. The terrible tragedy unfolding in Karachi only makes sense as we realize the entire spectrum of non-governance. Mis-governance or poor governance would actually be a compliment to the PMLN and the PPP administrations in the Center and in Sindh. Abdicating even the semblance of governance symbolism, the silence of these parties and their leaders in accepting responsibility, Nawaz, Shahbaz, Asif Zardari, Fat Vanishing cat Faryal Talpur, Skipper Tappi, is heart wrenching and heart breaking. And the utter shamelessness and criminal neglect of Nawaz Shari’fs and Asif Zardaris toadies like Qaim Ali Shah, Khawaja Asif of the ‘Koi Sharam Bhee Hothee Hay Koi Haya Bhi Hothee Hay” fame and that horrible imbecile from the gutters of Lahore Abid Sher Ali, tasked with solving the power crisis, that completely destroys me. But what is even more and completely inexcusable and criminal is the complete inaction to mitigate the suffering of the incredibly vulnerable. The old, sick and poor. As they sucked the lifeblood from this nation, destroyed all institutions, grossly mismanaged all forms of planning and implementation, their only objective being WIIFM ( Whats In It For Me), the hour of reckoning draws ever so closer. Perhaps even upon us. Nature will soon take its course in a society devoid of leadership, any governance structures, and absolutely no safety of life, hearth home and business, of continuous burning fires. It is not the incredible shamelessness of our political leaders, but the even more incredible spinelessness of all of us, you and me, unable to overthrow this rotten God Forsaken lot, that will cause the firestorm to engulf this society. For such is Allah’s promise.